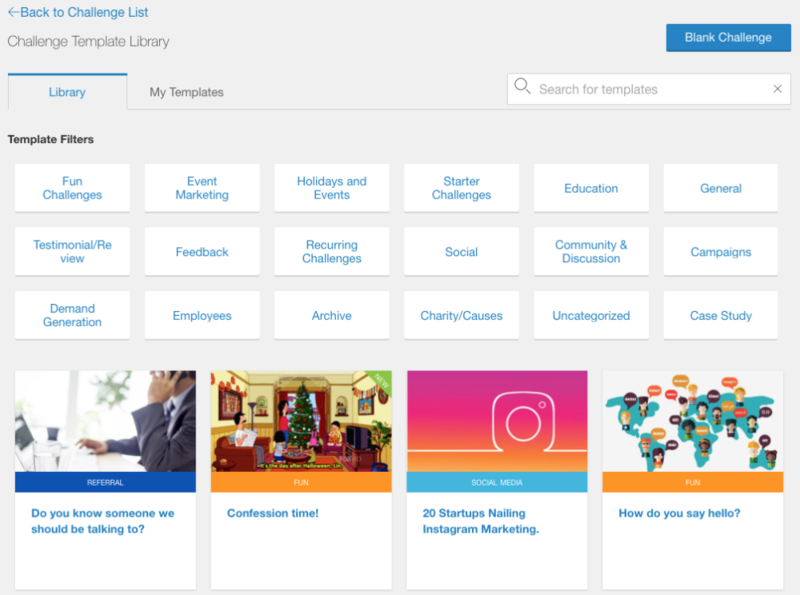 The challenge template library provides you with many best-practice templates that are ready to use in your AdvocateHub. From the Challenges page, click on the Add a Challenge button. This will bring you to the template library (seen above). The latest templates will always be at the top, just beneath the template category filters. Click on a category to find a challenge, or search for a template. After clicking on a template, you can click the Preview Template button to see what it looks like and click User Template to start customizing it. While templates are a great way to get started, you should always customize them so that they better suit your audience. Often, there are areas which require customization, such as adjusting links or names.